50% Tickets for Canada Day! 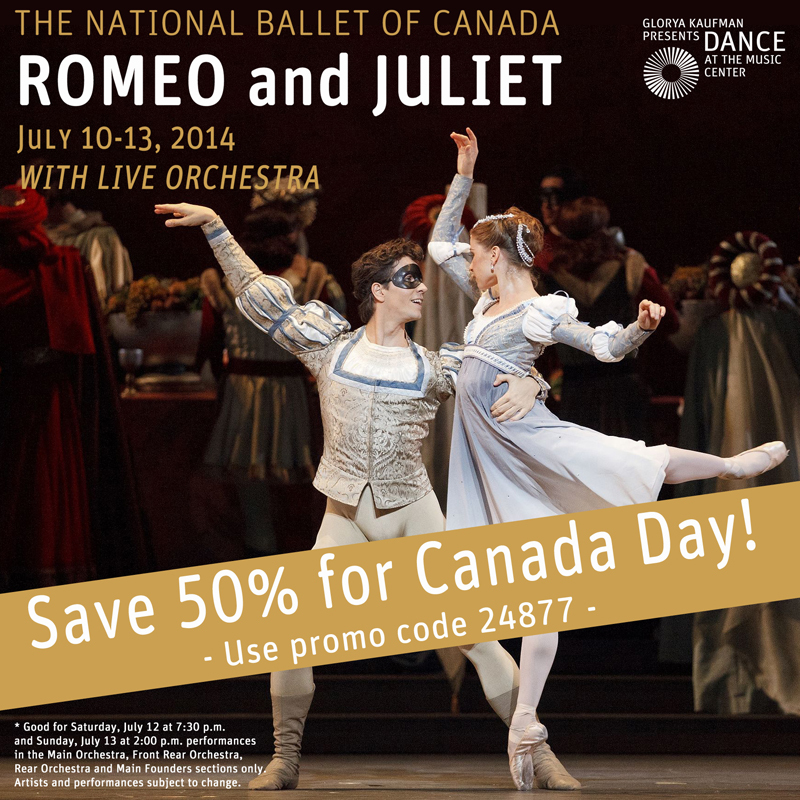 Since we’re hosting the magnificent The National Ballet of Canada in just over a week with their new production of Romeo & Juliet, we decided to do something extra special for Canada Day… We’re giving all of you a special 50%* off tickets to the Saturday evening and Sunday matinee performances! Pretty awesome eh? But this deal expires at midnight – So connect with your Canadian spirit and snag your half-off tickets right now! Just use promo code 24877. * Good for Saturday, July 12 at 7:30 p.m. and Sunday, July 13 at 2:00 p.m. performances in the Main Orchestra, Front Rear Orchestra, Rear Orchestra and Main Founders sections only. Artists and performances subject to change. It’s Your Moment to Shine On Stage!